Rumours Luxury Villas is a world class resort property consisting of just 7 stunning, spacious lifestyle villas on the south-east coast of Rarotonga bringing a new level of privacy, sophistication and luxury to the Cook Islands. It is also home to the Waterfall Spa, the Cook Islands Best Luxury Boutique Spa as conferred by the World Luxury Spa Awards for the 4th consecutive year in 2014. For a limited time, Rumours Luxury Villas & Spa is offering guests an irresistible opportunity to sample the therapeutic wonders within the walls of the Waterfall Spa. As a special offer valid for sale until 31 July, 2014, new bookings for stays of 5 nights or more in a Beachfront Villa staying between 12 July and 31 December, 2014 will receive a massive $500 Waterfall Spa credit per villa. Targeting honeymooners and those seeking total privacy, Rumours has become a much sought-after destination for the discerning traveller. Add the award winning Rumours Spa complete with Vichy spa treatments into the mix and you have the very best in luxury, relaxation and rejuvenation the Cook Islands has to offer. Family fun and the kids stay and eat for free! Bangkok has endless activities that all the family can enjoy, and with its location in the heart of the city Centara Grand at CentralWorld offers the ideal family getaway with the Family Discoveries package. On offer from now until 30 September 2014 and with rates starting from Baht 4,920 per night for a Superior World room, the package is for two adults with up to two children under the age of 12 years staying free, and including daily buffet breakfast for everyone. An automatic upgrade to a Premium World room is included, subject to availability, an extra bed or baby cot can be provided at no charge, there is a 20 percent discount on food at all the hotel’s restaurants, daily cookies and milk for the youngsters at bedtime, and parents will appreciate the 20 percent discount on selected treatments at Spa Cenvaree. Rates are subject to service charge and government tax. and start earning points towards your next family holiday. It's free, and it's easy! The five-star Centara Grand at CentralWorld is located in the centre of Bangkok, integral to CentralWorld lifestyle and shopping complex, and within easy walking distance of the shopping and leisure attractions of Siam Square. The hotel connects to the BTS Skytrain via the Sky Walk, thereby bringing other prime destinations of the city within easy reach. Thailand is growing in appeal for sun-seeking travellers, with global discount holiday site, lowcostholidays, recording a 370 per cent jump in bookings for the resort island of Phuket this year. And to help more Australians join the fun, the Australian arm of lowcostholidays is offering discounts of up to 43 per cent on accommodation at Centara’s four-star Blue Marine Resort and Spa on Phuket. 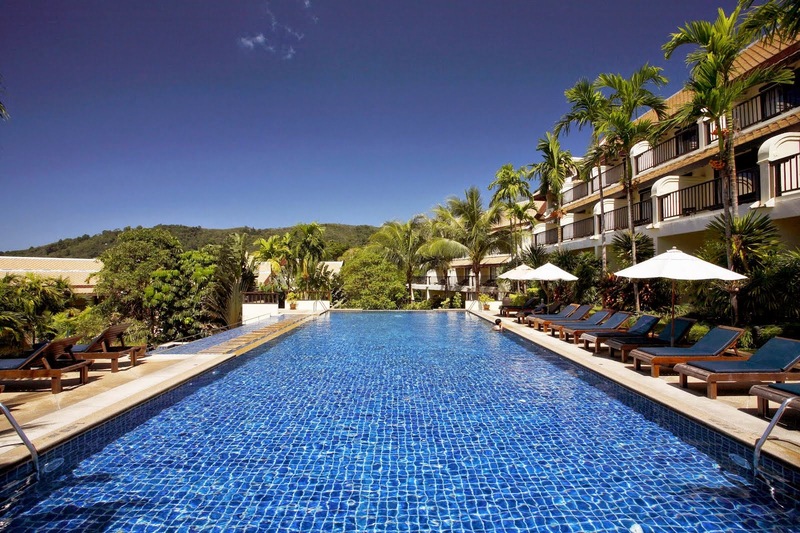 Available on www.lowcostholidays.com.au until July 31, 2014, for travel until October 31, 2014, the new deal offers a superior room at the Patong Beach resort for five nights from $312 per room, including breakfast for two. The discounted rate represents a 43 per cent saving on the normal rate of $553. Lowcostholidays offers a $5 deposit, lay-by-style booking system, with full payment not required on accommodation until 28 days before arrival. Flights to Phuket from any Australian capital city can also be booked on lowcostholidays.com.au to create a holiday package. Set on a cliff at the quiet, northern end of the Patong Beach resort town and overlooking the Andaman Sea, Blue Marine Resort and Spa is backed by tropical forest, creating a tranquil oasis close the to the entertainment and attractions of central Patong. One of the most popular travel sites in Europe, with almost 2.5 million customers a year, lowcostholidays offers a choice of 160 airlines and 200,000 hotels around the world. The easy-to-use travel site offers free travel and destination advice, flexible booking terms, low cancellation and amendment charges and also 24/7 assistance while you are away. lowcostholidays does not charge additional booking fees apart from standard credit and debit card charges. Rates are subject to change and availability and conditions apply. 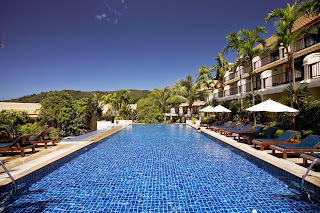 Visit www.lowcostholidays.com.au or call toll-free 1800 359 769. It is definitely getting hot and hotter; and the temperature is going up! Not only because it’s summer time but the heat is on as the 2014 World Cup fever hits the high notes. ~ Subject to room availability. ~ All rates are subject to prevailing taxes respective to each destination and currency exchange rates. ~ Full prepayment required and amendments and/or cancellation are not permissible. A special bootcamp weekend in Port Stephens this August will ensure exercisers and groups of friends or staff have a beach-ready body in time for spring. The Bootcamp Weekend at the The Retreat Port Stephens from Friday August 1 to Sunday August 3, 2014, is available from only $600 per person (solo or twin-share) including two nights’ accommodation, six delicious and healthy meals, morning and afternoon teas, group training sessions with a qualified personal trainer, stretch and relaxation classes, seminars on health, nutrition and wellbeing and a goodies bag which includes a training top, sunscreen, water bottle and notepad. Participants who bring two friends will receive a $100 discount off the total booking while bookings for groups of 10 people or more will receive a 10 per cent discount. Some of the workout sessions will be held at nearby beaches, sand dunes and bushland, offering the unique opportunity to exercise surrounded by the spectacular seaside scenery of Port Stephens. Nestled in natural bushland and backing onto the biggest sand dunes in the Southern Hemisphere, the Retreat Port Stephens is an ideal location for a weekend of fitness, fun and exploring the secret spots of Port Stephens. Ideal for couples, individuals and corporate and social groups alike, the Bootcamp Weekend is designed to provide a kickstart to a healthier way of living ahead of spring. The Retreat Port Stephens is just ten minutes from Nelson Bay and is a unique getaway destination with a pool, games room and playground area. 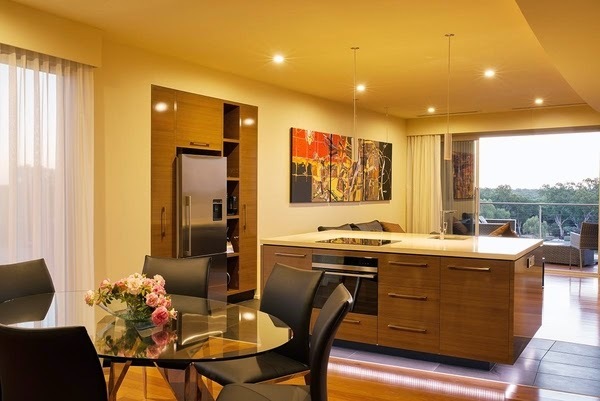 Surrounded by natural bushland and wildlife, it is a tranquil spot not far from the whale-watching, boutique shopping and crystal clear water that Port Stephens is renowned for. Bookings and more information can be found at www.theretreatportstephens.com.au or call 02 4982 1244. For general information on attractions, dining, events, maps and holiday deals, visit the official website for Destination Port Stephens – www.portstephens.org.au. Tiger Curry’s Secret Sauce Recipe is SWEET… SPICY…GOOD! Chef Satoru believes his secret sauce recipe, which features unexpected ingredients such as mandarin and mango chutney, is the key to Tiger Curry’s success with the already renowned SWEET… SPICY… GOOD! flavor championing taste buds across the city. A blend of 26 Osaka-sourced spices (compared to the usual five), Satoru’s coveted sauce was three years in the making. “I chose to work with spice masters in Osaka, the home of Japanese curry, to ensure the best quality ingredients and finest flavor for our sauce,” he says. Each batch takes several days of ultra-slow cooking to create but the results are worth the wait – the flavor speaks for itself and Tiger Curry is proud to declare itself MSG free. Tiger Curry offers several delectable options for pairing with the moreish sauce including tender Shabu Shabu Beef (HK$78), crispy Deep Fried Kurobata Pork Chop (HK$95) and succulent Jumbo Prawn (HK$90). For those who prefer a milder flavor, the Hash Beef Rice ($88) is a sweet and tangy alternative. In addition to its coveted sauce, Tiger Curry serves a range of outstanding appetizers and delicious desserts – the gooeyCrispy Cheesy Mochi (HK$38) is the perfect prelude to a meal whilst the unusual Sea Salt Japanese Ice-Cream (HK$34) remains the most popular way to round up a Tiger Curry experience. And to help more Australians join the fun, the Australian arm of lowcostholidays is offering discounts of up to 43 per cent on accommodation at Centara's four-star Blue Marine Resort and Spa on Phuket. Boathouse by Montara has recently launched an exciting Surf & Spa Package in collaboration with Quiksilver to mark the second season of sun, waves and fun at the resort’s own RE KÁ TA Surf School. Following a very successful inaugural season last year, RE KÁ TA Surf School is now offering lessons to hotel guests as well as surf enthusiasts in Thailand from now until 31 October 2014, @Baht 1,000 per class for all levels. Students will have a chance to master the waves under the guidance of professional surfers headed by Jimmy Smith, 2013 Thailand surf champion. Also on offer is a progressive and intensive, five-day Beach Club surf package with two hours of instruction per day @Baht 8,000 per package (20% discount from standalone lessons) with a focus on on- and off-water topics. Knowledge regarding board anatomy, different waves, rip currents, swimming out of a current tip and many more are covered in this unique course. All surf school participants have access to the first-class facilities of the RE KÁ TA Beach Club, including changing rooms, bar, restaurant, spa, pool and sun tan decks. For the launch of its second surf season, RE KÁ TA Surf School has numerous exciting activities lined up from June 26th to 28th, including the first open day of surf especially for children, which will include a workshop and lessons as well as visits from local celebrities and exciting games. The season’s launch events will culminate in an exclusive, by invitation only BBQ dinner at RE KA TA on 27 June 2014 to be attended by Thailand’s crème de la crème of the surfing scene. This will feature a range of freshly barbequed seafood, a rum bar and free flow of wine. A special highlight of the party will be the presence of a caricaturist, who will whip up drawings of guests on Quiksilver and RE KA TA themed frames as souvenirs, as well as exciting fire shows and live DJ sets by Ms. Nok and DJ Jamie O’Rourke. Quiksilver Shop located next to Boathouse entrance sells the latest and coolest surf fashion and beachwear. The Shop is open daily from 10.00 am – 8.00 pm. This season, Quiksilver is giving away RE KÁ TA Surf School T-Shirts and Quiksilver stickers to the first 20 students of the surf school. The “25-year-young” Boathouse by Montara, recently rebranded and rejuvenated, exudes an ambience of a refreshing blend of French elegance, modern luxury and tropical flair. The classic style of this iconic Phuket resort has been enhanced with contemporary features to create a unique Thai beachfront ambience. Norwegian Cruise Line is offering limited time savings on Norwegian’s spectacular seven-day interisland cruises in Hawaii on board Pride of America. Guests who book a new Hawaii cruise reservation, from June 22 through June 30, 2014, will receive up to $100 to spend on board, plus guests who book a Hawaii Cruise Tour will receive an additional $200 to spend on board. Air credits of up to $400, Military, Latitudes Rewards and AARP discounts may also apply to select sailings. To book a Hawaii cruise onboard Pride of America, contact a travel professional, call Norwegian at 888-NCL-CRUISE (625-2784), or visit www.ncl.com. Fraser Island's pristine natural beauty is set to provide creative inspiration for budding Australian artists and photographers over the following months. The team at Australian Geographic has a long and strong affinity with Fraser Island and is calling for budding artists to join their illustrator, Ego Guiotto, and workshop director, John Morrison, at the fourth Australian Geographic Wilderness Art Workshop at Kingfisher Bay Resort. Places are strictly limited for the eight-day master class, which will feature studio work and slide presentations, 'En plein air' painting and drawing sessions, guided walks, early morning light and sunset colour excursions – and all amongst spectacular rainforest, beaches, wildlife, lakes and views of largest sand island in the world. The workshop, which runs from 9-16 August, includes a Wilderness Art Workshop with John Morrison and Ego Guitto as tutors; 7 nights' accommodation at Kingfisher Bay Resort; Return airport and ferry transfers from River Heads; Welcome and farewell dinners; and a full-day guided 4WD tour of Fraser Island with picnic lunch. Paint is also included. 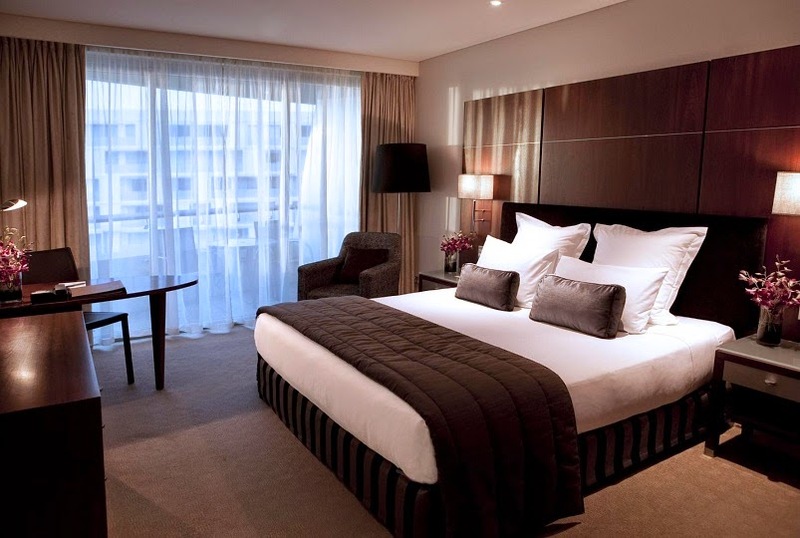 Price: start from $2250* per person (twin-share accommodation with workshop). To book or for more information call Kingfisher Bay Resort on +61 7 4120 3333 or email sales@kingfisherbay.com. Some conditions apply. 12-15 September: Humpbacks, Camera, Action! Bluedog Photography has again teamed with Kingfisher Bay Resort to run a three-day photographic retreat on World Heritage-listed Fraser Island. These retreats artfully blend Fraser's natural attractions with lessons in wildlife photography – thanks, in part, to the region's holidaying Humpback Whales. There will also be sessions on framing landscapes and seashores, using natural lighting and camera techniques. Gold Coast-based photographer Danielle Lancaster will lead the getaway to Fraser, for photographers of all ages and abilities from September 12 to 15. The three-day, three-night, all-inclusive retreats are priced from $3305.77pp (twin share)* and include accommodation and meals at Kingfisher Bay Resort; two full-day photographic workshops on Fraser Island with Blue Dog tutors; 4WD transportation; Return ferry transfers from River Heads and a half-day Whale Watch cruise from Kingfisher Bay Resort. To ensure one-on-one attention, places on the tour have been strictly limited. For more information or to book contact Bluedog Photography on +61 7 5545 4777 or at www.blue-dog.com.au. Some booking conditions apply. Fraser Island is just offshore from Hervey Bay on Queensland's east coast and Kingfisher Bay Resort passenger and vehicle ferry services depart daily from River Heads (secure parking is available). Virgin Australia and QantasLink provide direct flights to Hervey Bay/Fraser Coast and the resort can organise airport connections. In homage to its French origins, Pullman Auckland is celebrating one of the largest annual festivals on the French calendar – Bastille Day – with a whole month of French inspired activity throughout July. Held on the 14th of July, Bastille Day commemorates the storming of the Bastille prison in 1789 and the subsequent rise of the French revolution. Pullman Auckland is hosting a 'French Food Month' to celebrate the food and flair of France, and has joined forces with French car maker, Peugeot to give away three French-inspired prizes valued at over $2,500 each. Pullman Auckland's new Chef, Charlie Pihera, has created a 5-course French-inspired feast for the restaurant Tapestry Dining during July. This special set menu with matching French wines features chicken liver parfait, sole meuniere, pieds de cochon qui croustillent, a cheese course and for dessert, a clafoutis aux cerises. (Full menu details are below). To book a table, phone (09) 358 8013. For a more relaxed dining experience and winter warming lunch, Pullman's Omni Bar will be serving rustic French cuisine with a light bar menu including special French wines. Dishes include a bowl of vegetarian cassoulet served with crusty baguette and glass of Jaqueson Mercurey Burgundy Pinot Noir. In the evenings, a chicken liver parfait with brioche and red onion jam will be on offer with a sweet aperitif wine to match. Francophiles can make the most of the French festivities and stay the night with Pullman Auckland's Winter Weekend Getaway package. Enjoy a night's accommodation in a Superior King/Twin room, complimentary breakfast, unlimited wi-fi access and valet car parking, from only $199. The 5-course set menu is priced at $79 per person or $125 per person inclusive of the matching French wines. Individual items from the 5-course menu can be purchased separately. 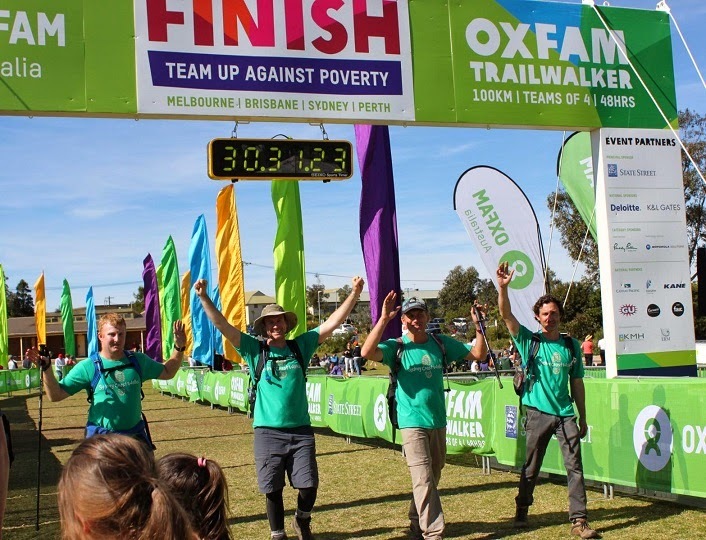 As an official sponsor of the 100km Oxfam Trailwalker event, Sydney Coast Walks needs help to smash last year's fundraising target. Join Sydney Coast Walks for trivia, laughs, amazing travel prizes and a foodie's delight to raise funds for Oxfam Australia. Just $110 per ticket on 9 July 2014 includes antipasto, dinner, dessert and non-alcoholic drinks. Bring your brains trust to tackle the trivia and be prepared to nab some extraordinary travel-related stuff in our Silent Auction, or win the lucky door prize. You could walk away with more than just the good feeling you're helping those most in need. Your generosity means all proceeds will go to Oxfam Australia to help eradicate poverty and disadvantage worldwide. And make a 100km walk in less than 48 hours all the more worthwhile! This is the second year Sydney Coast Walks has sponsored Oxfam Trailwalker and is again lending their expertise to the official training walks. The training walks are all completed on the official Trailwalker route on the Great North Walk. They have proven so popular that there is only one walk still available to registered Trailwalkers; a hike and camp on 9-10 August with an overnight stay at St Ives Showground, otherwise known as Checkpoint 4! You too can help raise funds for Oxfam Australia without even pulling on your boots. Just grab some mates for a fun-filled evening of trivia, dinner and prizes. Ticket Price: $110 includes two course meal, non-alcoholic drinks, entertainment and prizes. or call 02 8521 7423 for more information. 'The Frames' is a property like no other: three villas of uncompromising luxury overlooking the Murray River in South Australia's famous fruit-growing district. Designed by maverick architect Paul Pruszinski, The Frames offers three private residences, each exquisitely tailored to help couples rejuvenate, relax and fall in love all over again. Retreats start at $590 per couple, per night. Sunset river cruise option: manager John will take guests aboard the Frames' wooden gondola for a closer look at the river wildlife, backwaters and nearby River Port of Renmark (bubbles provided!) Local Riverland attractions include visits to wineries (including Banrock Station's superb wetland project), the 1859 Overland Corner Hotel, antique stores and kayaking operations. With a chic blend of culture and cuisine, art and architecture, Sofitel So Singapore has opened its doors in the heart of the Singapore CBD. 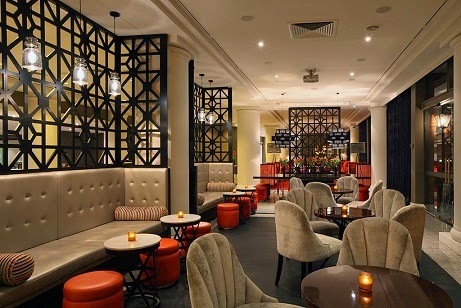 Sofitel So Singapore offers guests a luxury hotel experience that is ‘So Singapore’, housed within an iconic heritage building on Robinson Road. Strategically located near Raffles Place, in the heart of Singapore’s Central Business District, Sofitel So is minutes away from the city’s most iconic landmarks. Within close proximity to various modes of public transport, Sofitel So Singapore offers guests the opportunity to embrace the cosmopolitan vibe of the island, from tasting the culinary delights of Chinatown and Lau Pa Sat to enjoying the attractions of Marina Bay. Whether it’s dining with your loved-ones, a cosy weekend retreat or an evening chill out with your girlfriends, Xperience gastro bar caters to food enthusiasts who are looking for more than just a dining experience. From now until 7 September 2014, take advantage of the 100 Dollars for 100 Days offering and be the first to experience the exquisite rooms at Singapore’s new unique designer boutique hotel. Guests will receive a complimentary $100 food and beverage credit to use during their stay for a limited 100-day period. Spend your Weekends@SO by indulging in the ultimate urban staycation at Sofitel So Singapore. Starting from only SGD $599++ for two persons, Weekends@SO includes the magnificent Champagne brunch on Saturday with accommodation in one of the luxury rooms and a morning-after all-day breakfast on Sunday with two glasses of Champagne. ONLINE cruise specialists ecruising.travel are helping the award winning Rocky Mountaineer celebrate their 25thanniversary by offering up to $2500 per couple in added-value extras when you book a selected 2015 SilverLeaf or GoldLeaf cruise/rail/land package before August 31. There are a variety of itineraries and departure dates to choose from including the 16-night 2015 Canadian Rockies Adventures package, with the first one departing May 8 2015- now priced from $8779 per person twin share. The credits can be used on a number of add-on options such as free hotel upgrades, extra accommodation nights or free meals. The package starts with one night at the Shangri-La Hotel in Vancouver before the seven-night round-trip Glacier Bay Inside Passage cruise on board Holland America Line’s ms Noordam where you will visit Juneau, Skaway, Glacier Bay and Ketchikan. After the cruise you will board the Rocky Mountaineer for a two day journey taking in the spectacular Canadian scenery from Kamloops and Banff. As well as a land tour including a variety of sightseeing in Canada such as a North Shore tour with Calpilano Suspension Bridge and Grouse Mountain, Vancouver Lookout, Lake Louise tour including Banff Gondola, a Summit helicopter tour, Columbia Icefield excursion including the Ice Explorer and Calgary Tower. Included are return economy airfares from Sydney, Melbourne and Brisbane with air taxes, nine nights hotel accommodation in Vancouver, Kamloops, Lake Louise, Banff and Calgary, two day Rocky Mountaineer Silverleaf service, seven nights in a Oceanview stateroom on board ms Noordam, all main meals onboard, sightseeing, some ground transportation and transfers and government fees and taxes. For other cruise and Rocky Mountaineer itineraries and flights from other capital cities contact ecruising.travel. The Five-Star Mandarin Oriental, San Francisco invites families to experience the ‘City by the Bay’ with the new Summer Family Fun package. Room combined with a Deluxe Room. Each guestroom comes with a set of binoculars allowing children and adults alike to take in the views of the city and the bay. From the world-famous San Francisco Cable Cars to the renowned Exploratorium science museum, guests will have access to a fun-filled day exploring these top attractions which are an easy walk from the hotel. The package also includes daily breakfast in Brasserie S&P, a special children’s welcome amenity and a complimentary San Francisco-themed Monopoly Board Game to relive the fun at home. Valid from 1 June to 1 September 2014, the package is subject to availability. Rates are based on two adults and one child age 16 and under. Additional charges apply for families traveling with two or more children. Reservations can be made by contacting the hotel directly at +1 (415) 276-9600 or emailing mosfo-reservations@mohg.com. is offering special spring escape rates in its celebrated safari tents this September and October, with savings of up to $440 per couple. Marking its 15th birthday, the eco-accredited tented bush camp 2½ hours south of Sydney is offering two nights’ deluxe accommodation with a full breakfast from $500 per couple in an original safari tent (usually $790), $600 per couple in a deluxe safari tent with a freestanding, candlelit bath (normally $1040) and $800 in a large king deluxe tent (normally $1180). The discounted rates are available seven days a week in September and between Sunday and Thursday in October. Conditions apply. Rates include a gourmet breakfast and free use of bikes and also canoes, kayaks and stand up paddleboards on Currambene Ck which fronts Paperbark Camp’s 12 cosy, raised tents camouflaged amongst spotted gums and paperbark trees just a five-minute drive from the pristine waters and white beaches of Jervis Bay. Offering an award-winning blend of sophistication and simplicity but with a warning that you will never want to camp in a normal tent again, the upmarket accommodation at the popular bush hideaway offers double canvas roofs, polished hardwood flooring, outdoor deck seating, full insect screening, premium toiletries, luxury cotton linen, pure wool doonas, solar-powered energy, hot water bottles at night, hot water delivered in the morning for coffee and private outdoor ensuites where guests can watch kangaroos and birds while they bathe or shower. Nestled in a peaceful bush setting and still run by the Hutchings family which founded the retreat in 1999, the camp also boasts a communal campfire and an elevated lounge and treetop restaurant called The Gunyah (Aboriginal for meeting place) where guests can relax by the log fire and dine on fine cuisine created by Chilean chef, Emilio Erazo. Bookings are available at Paperbark Camp by calling 1300 668 167 or visit www.paperbarkcamp.com.au. new guided mountain bike tours, with riders able to stop at beaches for a swim and spot dolphins or koalas along the way. Launched this month by cycling enthusiast and local Mick Shaw, Port Stephens Mountain Bike Adventures offers guided tours ranging from relaxing ambles to more challenging rides along bush trails leading to deserted ocean beaches. A two-hour Scenic Coastal Tour offers an easy 10km ride along beachside cycleways from Corlette towards Shoal Bay while a harder, four-hour National Park Trails ride stretches for 27km, taking in undulating, sometimes bumpy fire trails snaking behind ‘secret’, rarely visited ocean beaches like Box Beach and Wreck Beach on the way to Fingal Bay. Ideal for leisure visitors or corporate groups seeking a team-building challenge, the rides offer the chance to explore Port Stephens from a different perspective and at a slower rate, with riders able to spot, dolphins, whales, koalas, kangaroos, goannas and kookaburras along the way. The Port Stephens rides are also perfect for families, with children aged 12 and over able to hop on the sturdy, easy-to-use bikes. The two-hour Scenic Coastal Tour is available from $50 per person or $160 for a family of four. The four-hour National Park Trails ride is priced from $70 per person or $225 for a family of four. Water is included and tours run year-round. Specialised training and fitness rides, skills training and group rates are also available.